Oklahoma Connection | Anthony came to work in a general store in Holdenville, Indian Territory, in 1898. Orphaned at the age of 10, C. R. Anthony learned at a young age to earn a living. He worked in cotton fields, was a horse jockey, and labored in a barrel stave factory to save $25 for a ticket to Indian Territory—the farthest place from Tennessee his money would take him. Charles Ross Anthony was born on a tenant farm in Tennessee and orphaned at an early age. He left school to work as a farm hand, teamster and janitor and managed to save enough money to come west to Indian Territory around 1895. He settled in Holdenville and worked in the local general store of E.J. Scales. He attended Indianola Business College and graduated as valedictorian of his class. He then went to work for the Wewoka Trading Co., where he met and married his wife, Lutie, in 1910. After the company closed, the couple moved to Muskogee and C.R. worked for the Grand Leader store. He also bought a second-hand furniture store and once hocked his wife’s wedding ring to buy some stock, but returned to his first love – dry goods – and worked for the J.P. Martin Co. in Cleveland. He opened his first C.R. Anthony department store in 1922 in Cushing, hundreds of locations across the country followed. Anthony devoted the rest of his life to community service and projects. 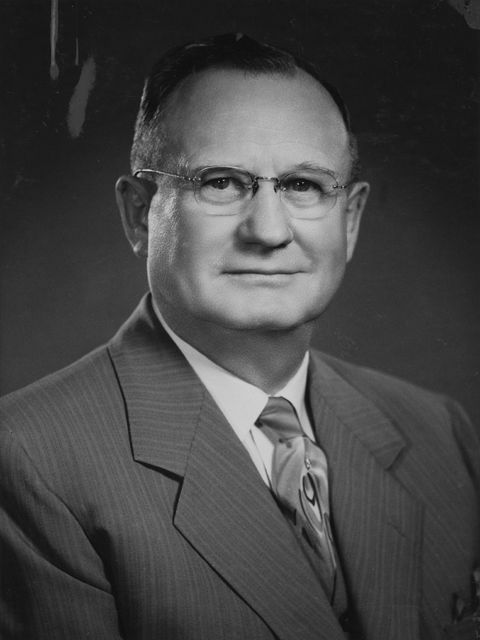 The director of numerous organizations around the area, he was the first president of the Oklahoma City United Fund, served as a trustee of Oklahoma City University, and was on the board of directors of Southwestern Bell Telephone Co. His awards included the Horatio Alger Award and OU’s Distinguished Service Citation.